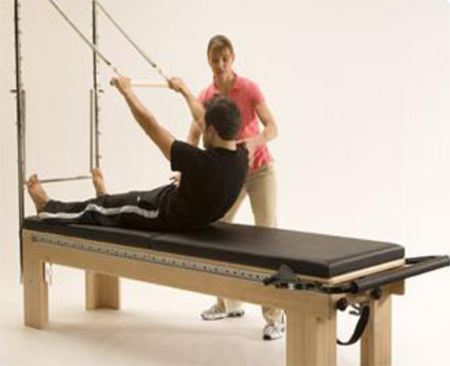 Pilates is a form of exercise focused on core control and efficiency of movement. The deep stabilizers of the spine are addressed prior to the larger superficial power muscles to ensure controlled movement on a stable base and minimize the risk of injury. Emphasis is placed on correcting muscle imbalance and weakness to prepare the body for functional, dynamic movement in all directions. Once the deep stabilizers are firing properly, maintaining neutral spine, programming is advanced to incorporate functional movements including rotation. Pilates-Based Rehabilitation is the ideal solution for long-term pain relief without drugs or surgery, and can be particularly helpful for conditions which have not responded to other forms of therapy.